Professor William Paterson began his academic career as a Lecturer in Politics and International Relations at the University of Aberdeen and later moved to the University of Warwick as a Volkswagen Lecturer where, after a number of years, he was promoted to a Professorship in Politics. 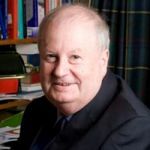 In 1990 Professor Paterson returned home to Scotland and to the University of Edinburgh where he was appointed Salvesen Professor of European Institutions and Director of its Europa Institute. From 1994 - 2005, and again from 2006 to 2008, Professor Paterson was Professor of German Politics and Director of the Institute for German Studies at the University of Birmingham. Under his leadership, the Institute developed into a dedicated centre of research excellence, with a thriving postgraduate community, which has made a major contribution to British-German relations and policy debates. In 2009, he joined Aston University to become Research Professor of Politics in its newly-established Aston Centre for Europe (ACE). Professor Paterson has written or edited over 25 books and is the author of countless academic papers on European and German issues. Until late 2008, he also co-edited the world's leading scholarly journal on the EU, the Journal of Common Market Studies. He continues to co-edit three major book series with Palgrave. He is a Director of the Königswinter Conference (a series of annual bilateral British-German conferences which has been meeting since 1950). In March 2005, Professor Paterson was appointed Chairman of the German-British Forum in succession to Lord Hurd of Westwell. In recognition of his "outstanding contribution to British-German relations", Professor Paterson was awarded the German Order of Merit in March 1999. In June 1999 he was awarded an OBE in the Queen's Birthday Honours List for "scholarship in German studies". Academically, his career has been honoured by lifetime achievement awards from the University Association for Contemporary European Studies (UACES), as well as from the International Association for the Study of German Politics (IASGP). After retiring from the University of Birmingham in 2008, he joined Aston University in 2009 as Honorary Professor of German and European Politics in its newly-established Aston Centre for Europe (ACE).